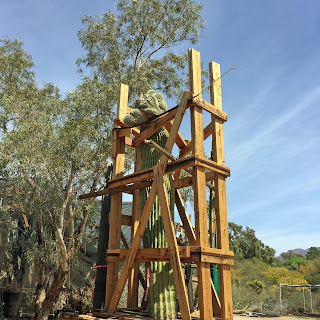 If you live in the Phoenix area, and you like trees and plants, you really do need to go visit the Boyce Thompson Arboretum, which is near Superior, Arizona, east of the greater Phoenix area. If you've been there, you already know. 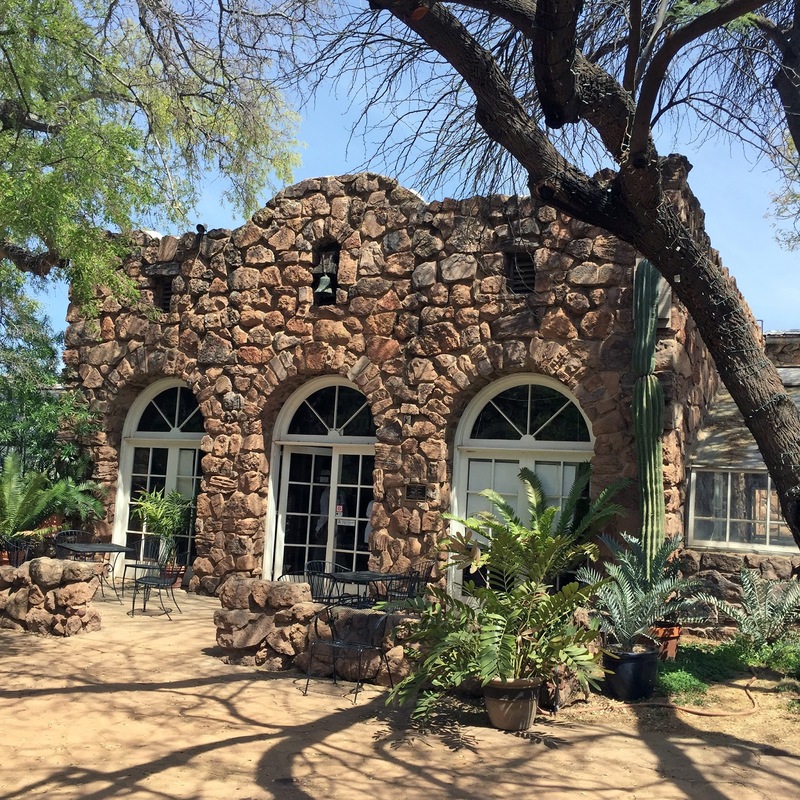 An arboretum is a garden of trees, and there's none better around Phoenix than the Boyce Thompson. In case you're wondering, it's been there since 1930, and is down in a canyon, and the water is supplied by wells. You can Google more about, and I recommend that you do. Better still, go visit it, and bring me along! Potted cycads at the Boyce Thompson Arboretum. Yesterday I got to go along on a VIP tour to see the new plants that are being installed. Of course, I'm not a VIP myself, but I have friends who are, who donate plants, and who are members. So I got to tag along. To put it as briefly as I can, there was a gigantic garden in north Scottsdale that recently donated all of its plants when the owner of the property died. I'm told that the garden really couldn't be opened to the public up in this exclusive area, as the neighbors wouldn't much appreciate the traffic, so the plants had to be moved. And as someone who takes several hours to do the simplest tasks in my garden, it's amazing to see what can be done by the pros, which heavy equipment, and incredible knowledge. Staging area "behind the scenes" at the Boyce Thompson Arboretum. One of many. I got to see the "behind the scenes" stuff which is beyond amazing. I tried to take a couple of photos, but really it's impossible to photograph and show it the way I saw it in real life. 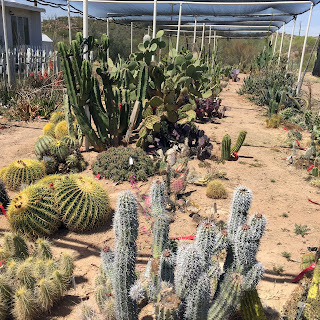 Imagine the biggest nursery you've ever been to, with the biggest boxed plants imaginable, and then picture an area that seems to go on forever, and ever. And most of the plants are in a staging area, waiting to be planted. I also got to see the new garden area with some of the plants in place. There's no nice path yet, no fancy labels, but it should be complete by this time next year (I'm writing this on April 8th of 2018). I'm hoping to get back and see it all in place. I will have a new appreciation for what they do! 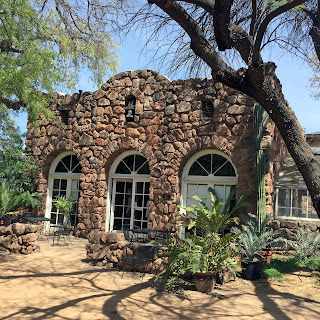 I've been going to the Boyce Thompson Arboretum since the 1980s, when I was a student at ASU in Tempe. I liked the drive out there, and I would pack a sandwich and then go walk under the trees. I've always been a nervous, anxious person, and walking under trees, and being in gardens is the best thing for my high blood pressure. Highly recommended! Image at the top of this post: a boxed crested saguaro in the staging area of the Boyce Thompson Arboretum yesterday.